Note: This video is currently not available due to copyright-infringement litigation threats by the filmmaker. The Majdanek Gas Chamber Myth debunks the “Gas Chambers Disguised as Shower Rooms” propaganda coup. Majdanek was the first major concentration camp liberated by the victorious Allies. Upon capture by the Soviet Union, original propaganda claimed that 2 million were murdered in a “factory of death” which included seven homicidal gas chambers. However, Majdanek was captured largely intact and a large amount of documentation and physical evidence helps to acquit the Germans of the “Gas Chambers disguised as shower rooms” blood libel. The original, outrageously inflated propaganda death toll has precipitously dropped, and 5 of the 7 originally alleged “homicidal gas chambers” have been admitted to never have served as homicidal gas chambers. 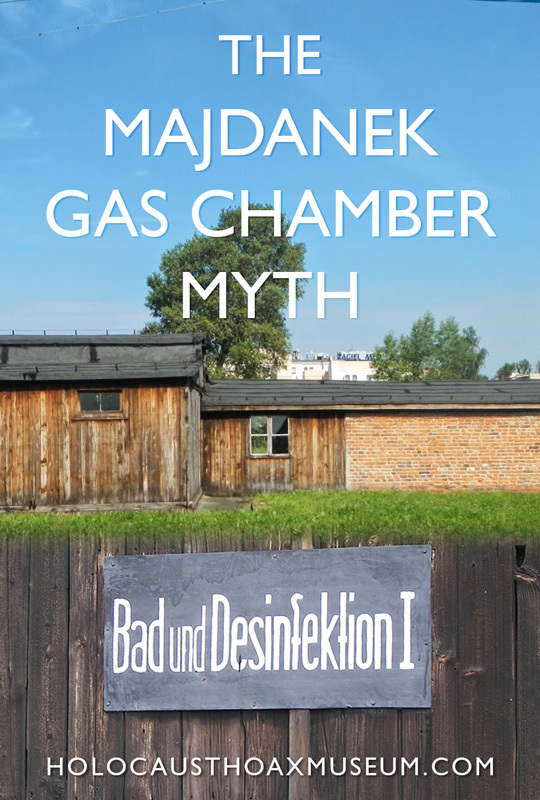 The Majdanek Gas Chamber Myth demolishes the Holocaust exterminationist “Gas Chambers Disguised as Shower Rooms” propaganda hoax and shows how Majdanek is a microcosm of the larger Holocaust Hoax.